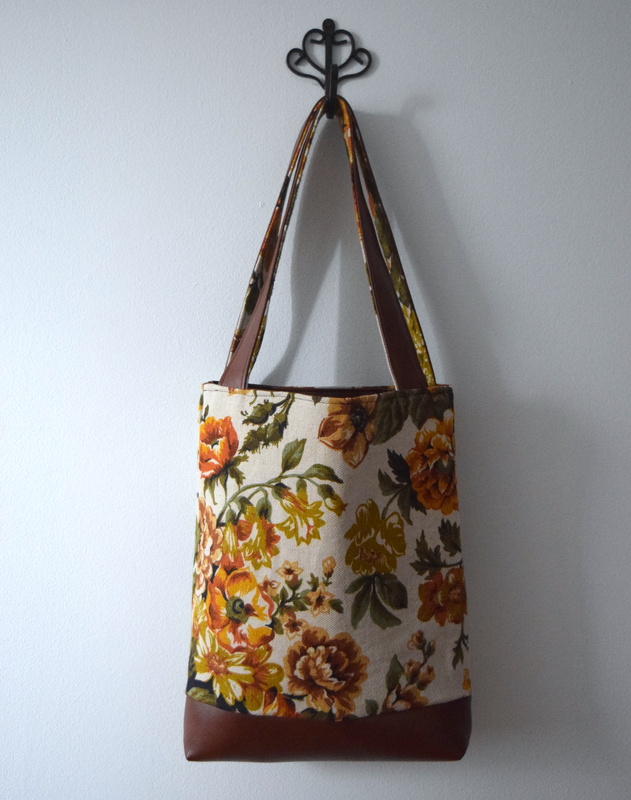 I finally made a bag for myself! When my grandparent’s passed and we cleaned out their house, the dining room was hiding a treasure of cloth napkins and fabric remnants. I don’t think the napkins were ever used (at least not in my lifetime) and the remnants were actually pieces from chairs that were upholstered in the dining room. I took the chair fabric and paired it with vinyl that was left over from Drew’s Bag. I needed a new fall bag that could hold my camera and computer but not much bigger than that. 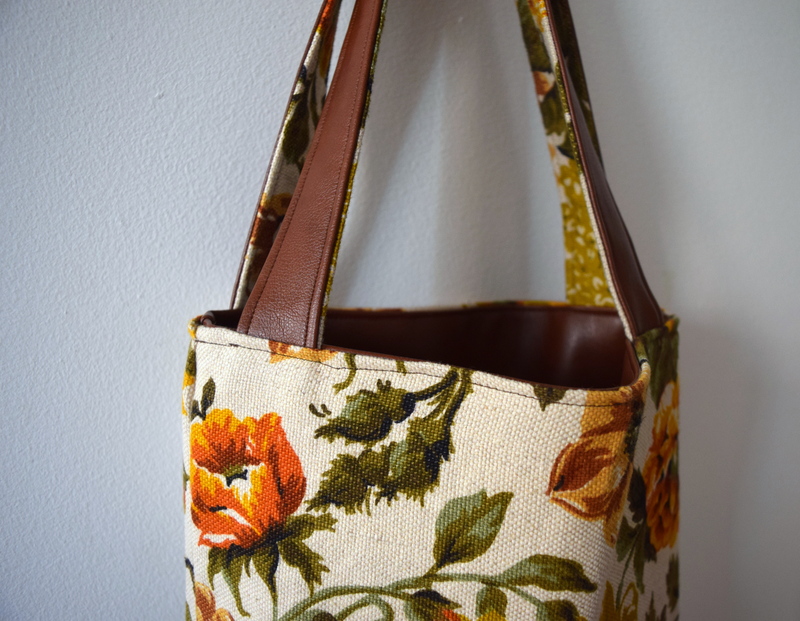 I altered my tote bag pattern and got to work. This bag is perfect for me, and I love that all the material is from projects/people who mean a lot- just one of the reasons I LOVE using recycled fabrics. Can I also say that it’s crazy I’m sewing fall?? Summer did not last long enough. I’m already wearing sweatshirts in my studio and pants have officially been pulled out of storage. I’m ready to move to California. So lovely to be able to make something from old fabrics that have special memories attached to them. 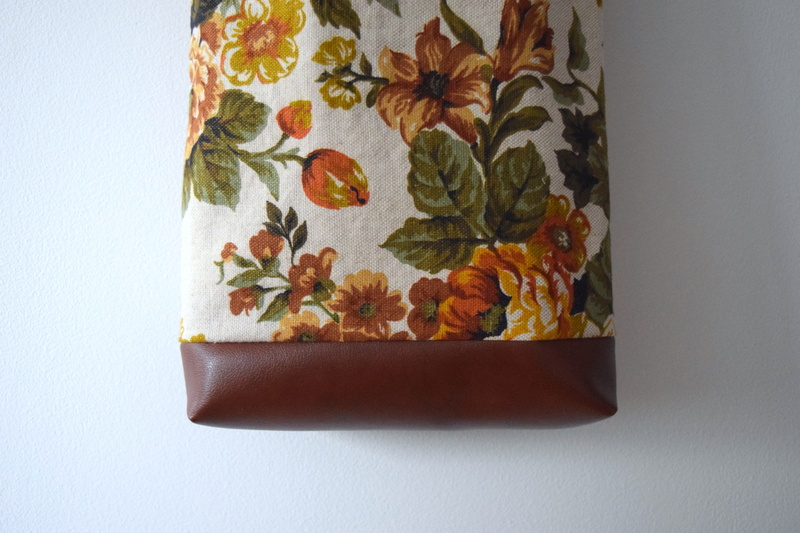 That is the perfect autumn/fall bag. Thank you! Yes, this tote definitely has a special place in my heart. 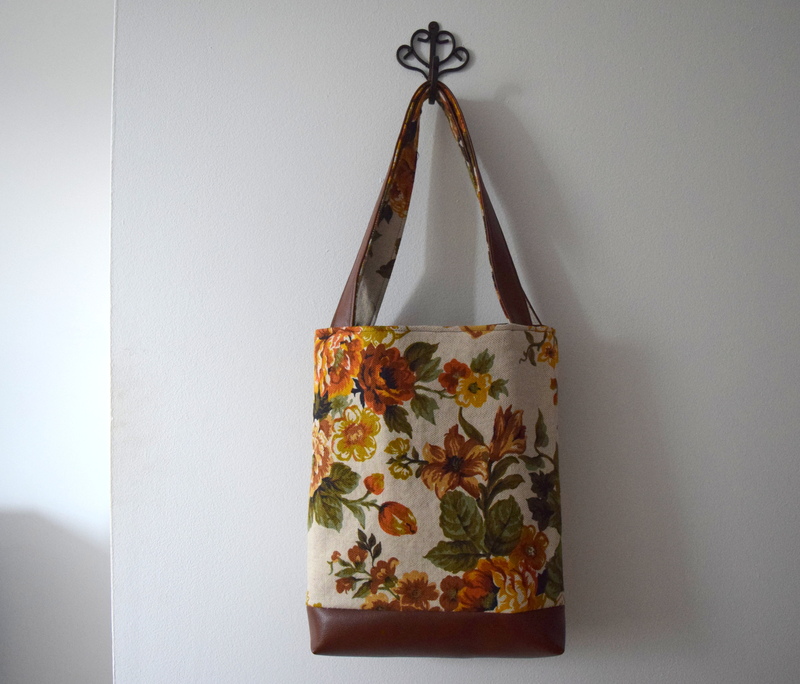 I love it and the sentimental value makes this bag even more wonderful! Such a gorgeous bag! I can’t say enough about how wonderful your creations are! And I agree summer did not last long enough! Thank you so much! And thankfully the temperature hasn’t dropped too much yet so I’m enjoying the sunshine while it lasts haha! What beautiful fabric! I love that it once belonged to your grandparents. How special!